I’m not saying they’re not worthwhile activities. I’m quite a chatty online person myself, and that’s something you can certainly do whilst practising religious piety. I just don’t have the energy for it, most especially now. I’m leaving it to the big boys and girls. If you haven’t yet, better head out to Aedicula Antinoi. Phillupus has written some pretty cool stuff (as always). The present post is, in certain respects, an attempt at a more clear-headed elaboration on another post I did last month, which itself was a response to this. Another polytheist colleague wrote this post, which had some of the most appalling and inexcusable comments I’ve seen in a long time on it; but, they got me thinking about a variety of matters. Then, the following post was made at The Wild Hunt on atheist appropriations of Winter Solstice, Saturnalia, and other matters, and the present post seemed all the more relevant and urgent. I assume, because of the claims that many atheists make, that you are open to reasoned discussion, and are on the whole an intelligent lot of people. I go into the present excursus not expecting to “convert” any of you away from your own positions in regards to theological matters; I merely write the present hoping that you might come away from it more informed, and thus more likely to make better-informed decisions on certain matters in the future. Not long after that occurred, I read a post on Wiccanate Privilege by Rúadhán McElroy, and then shortly after that, via further links on The Wild Hunt, I read Melissa Harrington’s essay on the dangers of conflating different pagan traditions together. Both of these address the problem I’m going to speak about here, without actually dealing directly with Frew’s article; nonetheless, it was timely that all of these things appeared at about the same moment. Something that non-Wiccan modern pagans and polytheists have been fighting to have realized, tooth and nail, on a wider scale for decades now is that “while all Wiccans are pagan, not all pagans are Wiccan,” and similar viewpoints which challenge the notion that Wicca is pretty much the lingua franca and “universal” modern pagan methodology. There are huge and complex issues involved here, one of which is what I refer to–and not dismissively, I hope–in my subject line above as the “Shinto-y slope argument,” namely that this restoration of knowledge about Shinto as an integral part of Japanese culture in public education leading to the same atrocities more widely associated with World War II, fascism, and the like in a manner that pretty much amounts to a“slippery slope” argument–and, no matter how commonly employed such arguments are, they are still considered logical fallacies. I know they’re quite lengthy, but I swear, they’re all worth it. Besides, a lot of people (1, 2, 3, 4, 5, 6, 7, 8) have made their point clear enough. I’ve also said my piece on AHA‘s blog, anyway, so I’d rather not repeat myself here. Perhaps I’ll have something to say in the near future, who knows, but right now, it’s, “Wither away and good riddance, God Graveyard”. I’d rather spend the last days of 2013 without having to think about you. 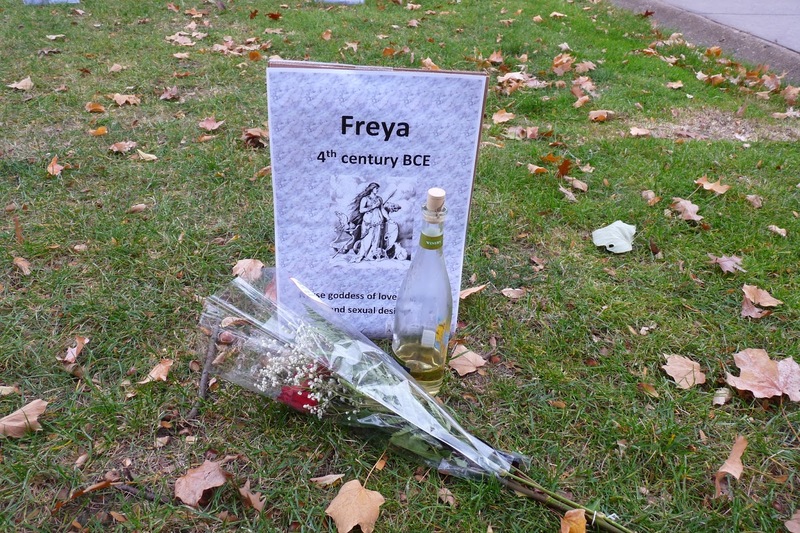 Freyja says thanks for the flowers and wine (yes, even if it was satirical). I’m not a very “informational” type of pagan blogger in case you haven’t noticed. I’m usually just happy to share what I can in my spare time, mostly short ramblings and purrty pictures. I suppose, we’re not all cut out for blogging “religiously”, and I accept that. L’école de Platon, 1898, Jean Delville. Yup, no relation to my post whatsoever. 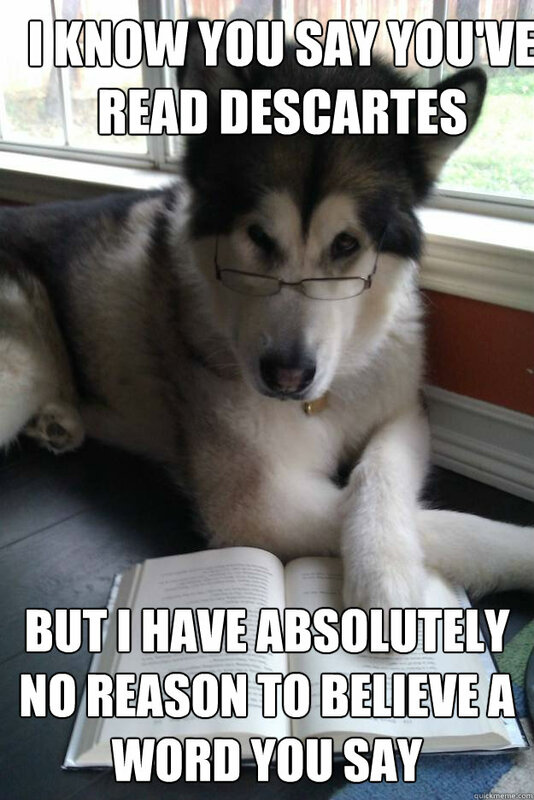 Fortunately, we’ve got plenty of friends in the pagan/polytheist blogosphere who do have the time and energy (and loads of it) for very informative and insightful posts. As you know, having no real Graeco-Roman community in my area, my only sources of information are the Innernets and a few books I can afford to pay international shipping for (yes, double the price of the actual book, most of the time). There are, of course, more. Although having experienced no such thing in my life (understandable as I live along the South China Sea), I will re-post this for my fellow Hellenes and polytheists. I’ve stopped hanging out with the wiccanish Neopagans in my area for rituals–not because they’re mean-spirited like these eejuts mentioned here–but because we really have little in common. And that’s fine, really. At the moment, it’s just me and my best friend who celebrate the rites, and I’m good with that. I don’t need to “cast a circle” and “call the quarters” to be able to support the cause of greater Paganistan. Actually, building up on Hellenismos and local polytheism would be a better way to help.